As a car enthusiast, interaction designer, and someone who is genuinely frustrated with the way most in-car interfaces are handled, I figured IQPC’s International Automotive Cockpit HMI (Human Machine Interaction) Conference would be up my alley. I found out soon after I arrived in Ann Arbor that I was right. The program’s mix of human machine interaction experts from both inside and outside the automotive industry added up to a robust commentary on a very juicy challenge: how to create an in-car interface that is engaging, exciting, easy to use, and doesn’t distract the driver. The conference kicked off with a great presentation from Golden Krishna, an author and design strategist at Google. I was really excited to hear what he had to say since his book, The Best Interface Is No Interface, is one of my favorites on the topic of user experience design. As his book’s title implies, Krishna argues that a screen is not always the best way to solve a design problem. As a society, though, we’ve become so accustomed to using digital interfaces that screens have become de facto solutions for many technology companies. Krishna then shared some less than ideal examples where screens had been implemented, such as the wildly expensive digital trash bins installed around London that indicated time and weather to passersby. 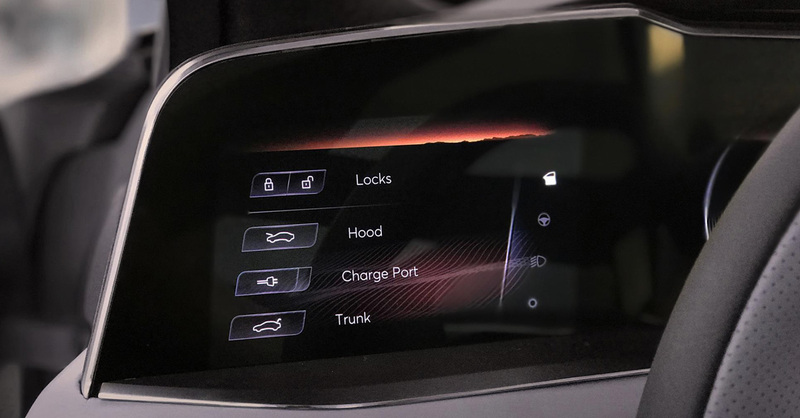 He also shared the mammoth center-stack touchscreen display in the Tesla Model S that houses all in-car controls (pictured above). This is a design that, while technically innovative, is much more difficult to use when compared to tactile controls. Our obsession with screens is killing our creativity and many of our products. Krishna also spoke about the ambiguities of the terms UX (user experience) and UI (user interface). Many people and even technology companies treat the terms as though they are synonymous. A simple job search for “UX Designer” will yield numerous results for UX/UI positions. Our obsession with screens is killing our creativity and many of our products. In fact they are very different: UX refers to the practice of designing unique, delightful experiences for users. UI refers to the design of the interface itself, including all components that comprise the UI. One could view UX as the overall experience and emotions evoked by the experience, while UI accounts for the visual elements used to facilitate that experience. User experience design can be viewed as the building, and user interface design as the bricks. David Witt, UX and HMI Design Manager at Karma Automotive, a reboot of the now defunct electric-car startup, Fisker Automotive, gave an intriguing talk. Fisker was one of the first manufacturers of an all-electric production automobile. Their first car, the Karma, was a beautifully designed example of what an electric car could be. Unfortunately, several missteps led the company to file for bankruptcy. The company was then purchased and relaunched as Karma. When we assign technology as the doer and the human component as the monitor, we’re doing it backwards. In other words, the car should complement the driver. This is an interesting approach given the industry’s current obsession with autonomous vehicles. Witt continued to say that the future of the in-car experience will be personalization for each driver and the simplification of interactions and interfaces. David then used Karma’s new car, the Revero, as a case study in flow, starting with the interior design. The car’s digital displays engage the user while maintaining simplicity without the expense of removing tactile controls. 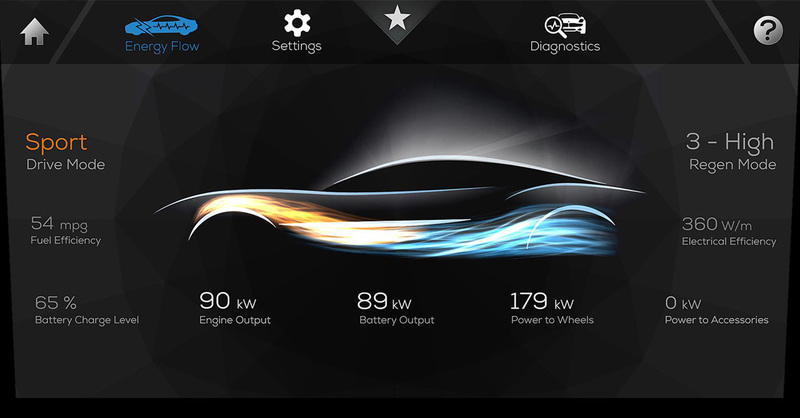 The car’s interior pièce de résistance (pictured above) is its visualization of energy consumption and rejuvenation. In an effort to make the car feel special and more refined than other electric vehicles, the center display shows a silhouette of the Revero with stylized lines representing energy used, energy regained from braking, and energy building via the solar-powered roof. It puts other visualizations — like that of the Prius — to shame. In addition to David Witt and Karma Automotive, there was an intriguing presentation from another fully electric car company called Lucid Motors. 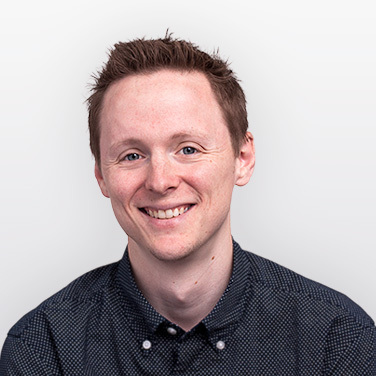 James Felkins, Lucid’s Senior User Experience Designer, introduced us to the company’s flagship model, the Air. Aside from its intriguing design and astonishing performance potential, the vehicle’s interior is unique. 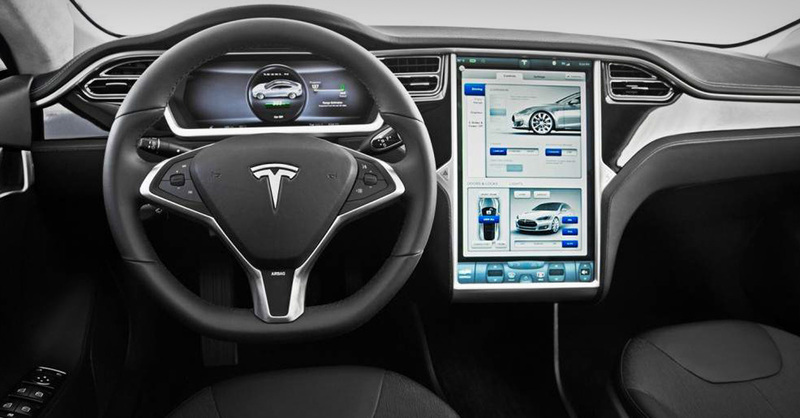 Its operation, much like the Tesla’s, relies on the digital displays on all sides of the driver. This approach was meant to ensure the driver’s role takes priority above all else. This required reducing distractions and surfacing meaningful actions when appropriate. For example, a small screen to the left of the steering wheel (pictured below) presents contextual buttons when the car is in various states, such as driving or static with the door open. 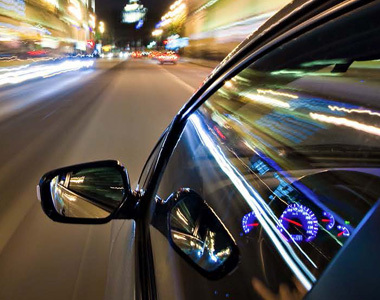 This is the real benefit to incorporating digital displays in the automotive industry. The opportunity to reduce clutter and personalize the experience as much as possible is tantamount to the success of newer cars. The organization of displays in the Lucid Air is logical and intuitive. The user interfaces are broken up into two distinct sections. The upper array, essentially the instrument cluster, in the driver’s line of site is focused solely on driving actions. The console tablet to the right of the driver is predominantly dedicated to actions not directly related to driving, such as autonomous driving and parked/static scenarios. This tablet can even retract into the dashboard to further reduce distractions. The overall idea is to make sure each display complements the others. Lucid discovered a trending problem among Tesla owners: It’s way too difficult to adjust temperature. 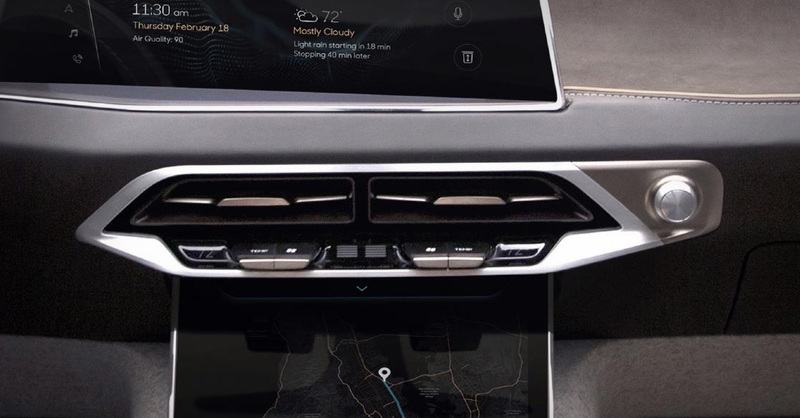 With the inclusion of tactile knobs and buttons for climate control, Lucid also addressed an aspect where the Tesla falls flat. Through research, Lucid discovered a trending problem among Tesla owners: It’s way too difficult to adjust temperature. The user must tap the screen numerous times to make any climate adjustment. With Lucid, the buttons (pictured below) are always there and easy to use. This seemingly small detail goes a long way for the Air. Beyond these presentations, companies including Socionext, Elektrobit, Radiant Vision Systems, and Cypress exhibited impressive display capabilities as well as hardware-independent software development platforms. These platforms have historically been difficult to use by designers, but these iterations appear much more intuitive. There was also a fantastic presentation from David Sirkin, a researcher from Stanford University, on quick and affordable ways to conduct user testing for the future of autonomous vehicles. 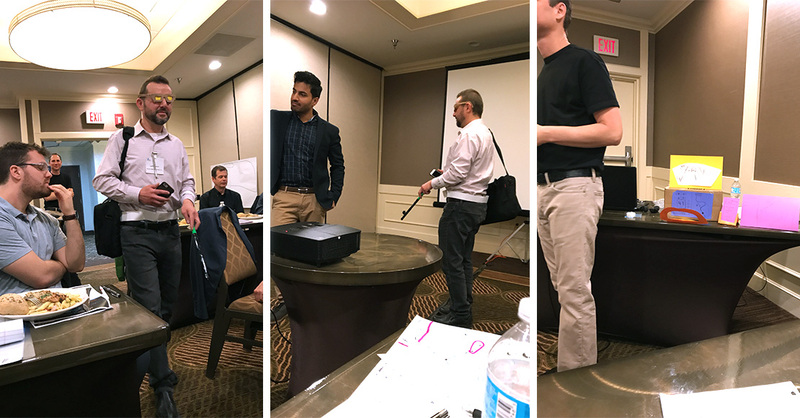 Finally, those fortunate enough to stay the extra day were treated to a workshop (pictured above) where we were challenged to quickly prototype the interior of an autonomous car as well as a seminar centered around an intensive discussion of the latest display technologies. This year’s IQPC Automotive Cockpit HMI Conference surely did not disappoint. 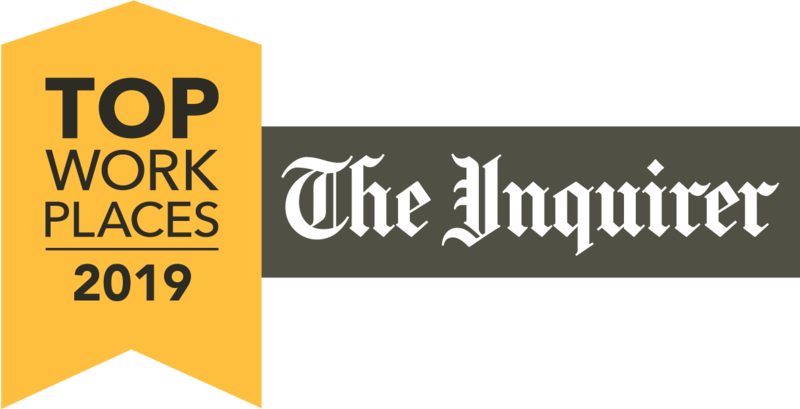 Like the best conferences do, it sent its attendees home with fresh inspiration and the rumblings of innovation. On your mark, get set, go …..
Matt designs user interfaces and interactions that connect users with products and create unique experiences. His favorite part of the process is the prototyping phase, when each project begins to come to life.